We ve been there. We can help. Shortly after the birth of her first baby, a healthy boy Janine began feeling down. Her entire body felt heavy, and she wanted to crawl away and hide, but when she did get a chance to lie down and pull the covers over her head, she couldn’t get to sleep. Even when her baby was sleeping, or when her husband or mother was playing with him in another part of the house, she found sleeping almost impossible. She also worried constantly about her baby – that something would happen to him – he’d stop breathing, or tip over his bassinet. She would cry for no apparent reason several times a day, and eventually began to wonder if her baby and family would be better off without her. Though she tried to hide her feelings, both her husband and her mother sensed that something was wrong. She told them she was fine, but they insisted she tell her doctor that she was crying, worrying, unable to sleep and unhappy most of the time. She worried that her doctor would say she was a bad mother, but he didn’t – he praised her for getting help. He diagnosed her with postpartum depression, and together, Janine and her doctor worked to develop the right treatment plan for her. Eventually, she began to feel like herself again, and realized how important it was that she be there – and healthy – for her son. Janine is not alone. One of every ten new mothers experiences symptoms of postpartum depression. National DMDA does not endorse or recommend the use of any specific treatment or medication. For advice about specific treatments or medications, individuals should consult their physicians and/or mental health care providers. Postpartum depression is a treatable medical illness characterized by feelings of sadness, indifference, exhaustion and anxiety following the birth of a baby. Symptoms can appear immediately, or when the baby is a few months old. 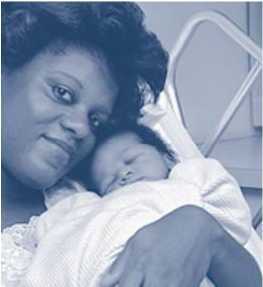 Postpartum depression can affect any woman, regardless of age, race or economic background. It is not a character flaw or sign of persona! weakness, and it does not mean there is anything wrong with your ability to be a mother. The exact cause of postpartum depression is not known, but certain chemical changes that take place in your body during and after pregnancy may contribute to it. It can be hard to talk about feeling depressed after having a baby, because of our society’s belief that this should be the “happiest time in your life.” If you are suffering from postpartum depression, the time after you give birth feels anything butjoyful. You may feel as if you aren’t a good mother, or that the baby would be better off without you. These feelings may make you feel ashamed or frightened, and you may feel that you should hide them from your family and friends. However, it is important that you tell someone, whether it is your health care provider, a family member, friend or clergy member, and that you seek help. You can feel better, and getting treatment early is the best thing you can do for yourself, your baby and the rest of your family. Postpartum depression is not just “the baby blues,” a mild feeling of sadness after a baby is born that goes away on its own. 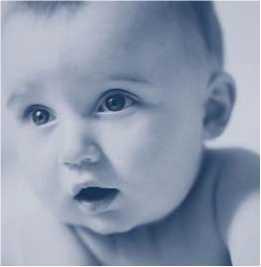 If the “baby blues” don’t go away after 2 weeks, you could be suffering from postpartum depression, and should seek help. You need not feel ashamed of having an illness – or of any treatment you may need to feel better – any more than you would feel ashamed about having diabetes or asthma and taking medication to stay healthy. Get help right away if you have any thoughts of harming your baby or yourself. Tell a medical professional, clergy member, loved one or friend immediately. What might increase my risk for postpartum depression? If you are reading this brochure before the birth of your baby and you’re concerned about the possibility of developing postpartum depression, talk to your health care provider before your baby is due. Symptoms of postpartum depression may also begin to appear during pregnancy. If you experience any of the symptoms on the list during your pregnancy, discuss them with your doctor. How do I talk to my doctor/health care provider about postpartum depression? It’s important to have a trusting relationship with your doctor or health care provider and feel confident in his or her skill, knowledge and interest in helping you. You should never feel intimidated by your doctor or feel as if you’re wasting his or time. Provide the medical information your health care provider needs to help you. Tell him about your medical history, all your symptoms, and any medications or “natural” remedies you are using. You may want to take this brochure with you to your appointment and use the symptom list to help you describe what you are feeling. A skilled and interested doctor should address all of your concerns, but you may have additional questions. Don’t leave the doctor’s office until all of your questions are answered. Take notes if things seem complicated. If you have a lot of questions, write them down before your appointment and bring them with you. Discuss your most complicated or difficult issues first. You may want to ask for extra time with the doctor when you schedule your appointment. If you are having trouble communicating with your health care provider or if you feel that your needs are not being met, it is all right to look for another doctor who will be better able to help you. Some mothers decide with their doctors that medication is the best choice for treating their postpartum depression. Some medications may pass into breast milk, but others are less likely to do so, and your doctor should have the information to help you decide which medication is best for both you and your baby. If you have to stop breastfeeding, it doesn’t mean you aren’t a good mother; it means you are taking care of yourself in order to be the best possible mother. Some medications may have side effects, such as dry mouth, light-headedness, sexual dysfunction or weight gain. Sometimes side effects go away on their own; other times it helps to change medications. Don’t become discouraged if you experience side effects -discuss them with your doctor and find out what other options you have. There are many different medications available to treat depression. All of them work, theyjust don’t work the same for everyone. If one medication causes side effects or does not relieve your depression, another may work well and have fewer side effects. Don’t give up. Never stop taking your medication or change your dosage without first discussing it with your doctor. Check with your doctor before using herbal, natural or over-the-counter remedies, because sometimes they can interfere with prescribed medication. Psychotherapy or “talk therapy” can also be an important part of treatment. Sometimes it can work alone; other times, symptoms of depression must be reduced through another method of treatment such as medication before psychotherapy can be effective. A good therapist can help you cope with the feelings you are having and modify patterns in your life that may contribute to your depression. Choose a therapist with whom you feel safe and whosejudgement you trust. You might choose to visit a psychologist, social worker or counselor. How might this illness affect my family? Husbands or partners and families can be affected by postpartum depression, too. It is equally important for men to seek treatment if they have symptoms that interfere with their day-to-day lives. Sometimes therapy involving both parents or the whole family can be helpful. Other children may be affected too. It may be a good idea for one parent to spend some time with other children and talk to them about what is happening in a way they can understand. You can explain depression as “not feeling good” or “feeling sad because of chemical changes in the brain,” and explain that you are getting treatment to help you feel better. It may be necessary to reassure children that your illness is not their fault. You might want to ask your doctor or therapist to sit down with the whole family and talk about your depression, its treatment, how it affects them and what they can do. If any of your children have symptoms of depression that interfere with their daily activities, school or friendships, talk to your pediatrician about it. What can families do to help? Postpartum psychosis is far less common than postpartum depression, and is characterized by delusions (thoughts that are not true or logical, such as believing you are receiving messages through the television) or hallucinations (seeing or hearing things that aren’t actually there). It is extremely important to get help immediately in cases of postpartum psychosis. Remember, it is a physical illness. Postpartum psychosis is not something you can control by yourself, but it is something you can treat with proper medical help. Avoiding treatment because you are ashamed or afraid may have tragic consequences. What if I was already diagnosed and treated for depression or bipolar disorder before I became pregnant? A woman with depression or bipolar disorder can be an excellent mother – as good a mother as a woman without one of these illnesses. But a woman with a prior history of depression or bipolar disorder is at an increased risk to develop postpartum depression (1 in 4 develop postpartum depression) compared to a woman with no prior history (1 in 10 develop postpartum depression). Be the best mother you can by staying aware of your own moods, working with your doctor to monitor your illness, planning appropriate treatment during pregnancy, sticking with the treatment plan you are given and making sure you have a support network in place before the baby is born. Your support network may include a DMDA support group or other support groups you attend, your family and friends, health care providers or other new moms. Prepare written plans with the help of your family about what should be done if you should develop postpartum depression (or psychosis). These plans should include the names and phone numbers of your health care providers, names of medications which have worked or have not worked for you in the past, medication allergies, insurance information, and a list of people who are willing to take care of your baby and your other chi Idren if you are unable to. Support groups can help you stick with treatment plans, provide a forum for mutual acceptance and self-discovery, help you rediscover strengths, humor and a sense of community, and give you the opportunity to benefit from the experiences of others who have “been there.” National DMDA has more than 800 support groups throughout the United States, where people with depression or bipolar disorder share ideas, support, coping skills and fellowship. Each group has a professional advisor and appointed facilitators. To find a DMDA support group near you, call (800) 826-3632 orvisitwww.ndmda.org . If there is no group in your area, National DMDA can help you start one. What are some things I can do to stay healthy? Keep appointments with all of your health care providers and stick with your prescribed treatment plan. Learn all you can about postpartum depression and its treatment. Keep track of your moods, things that cause you stress, and your response to treatment in ajournal This may help you spot future episodes earlier. Share your thoughts and feelings with others. Set realistic expectations for yourself. Work on accepting yourself as you are. Don’t skip meals, even if your appetite and energy are low. Eat a variety of foods to get the nutrients you need. Talk to your doctor about taking vitamin supplements. Look for opportunities to be physically active. Even walking or climbing stairs can help improve your mood and health. Develop stress reduction techniques, or ask your doctor or therapist to recommend some. With the right treatment and support, you can feel like yourself again, and be free to enjoy life and your new baby. These organizations can provide support or additional information about postpartum depression and recovery. They are not affiliated with National DMDA, and National DMDA is not responsible for the content or accuracy of the material they provide. Please help us continue our education efforts. We hope you found the information in this brochure helpful. We would like to continue to distribute this information and help mothers experiencing postpartum depression. Please call or visit www.ndmda.org for more information.We’ve been there We can help. THE MISSION of the National Depressive and Manic-Depressive Association (National DMDA) is to educate patients, families, professionals, and the public concerning the nature of depressive and manic-depressive illnesses as treatable medical diseases; to foster self-help for patients and families; to eliminate discrimination and stigma; to improve access to care and to advocate for research toward the elimination of these illnesses. The National Depressive and Manic-Depressive Association is the nation’s largest patient-directed, illness-specific organization. Incorporated in 1986 and headquartered in Chicago, Illinois, National DMDA has a grassroots network of over 800 support groups. It is guided by a 65-member Scientific Advisory Board comprised of the leading researchers and clinicians in the field of mood disorders. This brochure was reviewed by National DMDA Scientific Advisory Board member Lori L. Altshuler, M.D., Director of the Mood Disorders Research program at the University of California, Los Angeles, and by Michelle Falli of National DMDA’s Speakers’ Bureau.